October 21 Mosaic Meeting: "Community Service: It’s All in the Family!" Please join the HCHS Community Service Committee and Mosaic, the HCCS subcommittee focused on nurturing diversity, on Monday, October 21 from 6-8:00 pm in the auditorium for “Community Service: It’s All in the Family!" 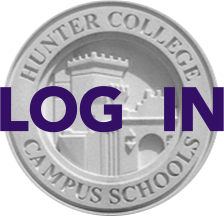 What are our children’s community service activities at Hunter and how do these activities contribute to their overall learning? Find out from our new Campus Schools Director, Dean Ketchum; HCHS Principal, Tony Fisher; HCHS Community Service Coordinator Amelia Betancourt; and, most importantly, a panel of eloquent elementary and high school students. What age-appropriate volunteer activities are available for families in New York City? Find out from representatives of a number of community organizations that can answer your questions, give you literature and encourage you to sign-up that night for their upcoming volunteer programs. Hear from such organizations as Xavier Mission, which encourages families to help prepare a meal for over a thousand participants every Sunday morning; or Dorot, which offers intergenerational programs to support the elderly; or the ASPCA, whose foster care program gives temporary homes to pets that are not yet ready for adoption. Please note: While this event is intended for both a parent and student audience, including elementary school students, Mosaic is again offering childcare for parents of younger children (age 3 and older), children who may need to use this time for homework, etc. If you are interested in signing up your child for childcare, please send an email to Aruna Chandra at nycarunas@yahoo.com, no later than Friday, 10/18, and include in your email the name(s) and age/grade(s) of your child(ren)."